You can create master-detail layouts that work with records in the current found set. Users then choose from a list of items (in the master area of the layout) to view more information (in the detail area) about the item. Master-detail is a common user interface pattern seen on a large number of applications. 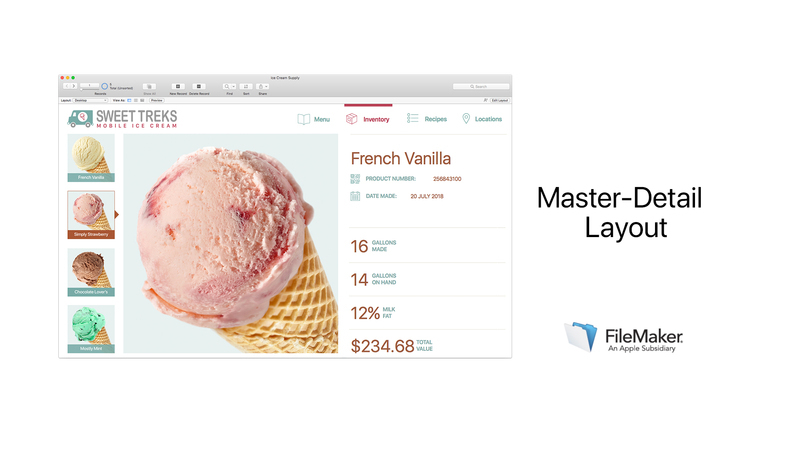 In FileMaker Pro Advanced, you can now work with mater-detail layouts that work with records in a found set so your users can choose from a list of items in the master area of the layout to view more information in the detail section about them.